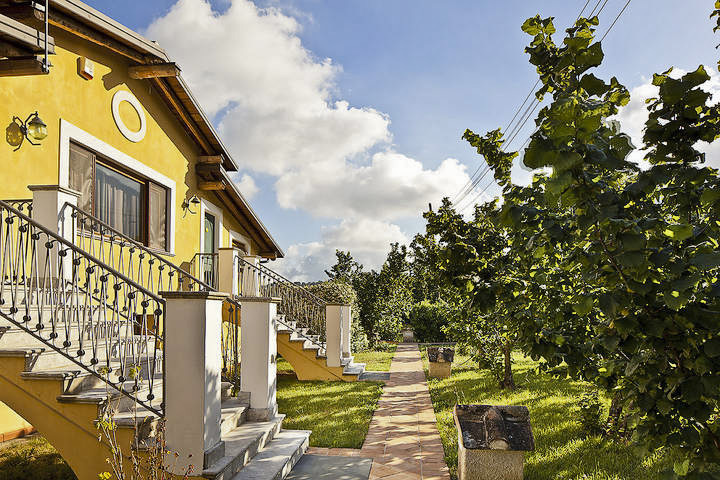 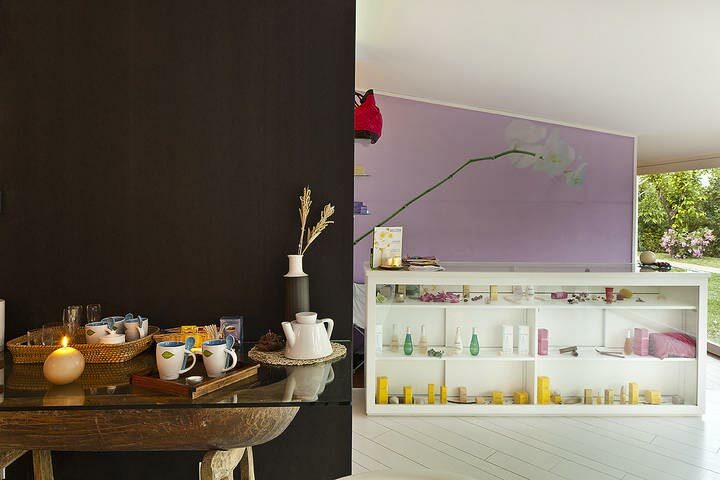 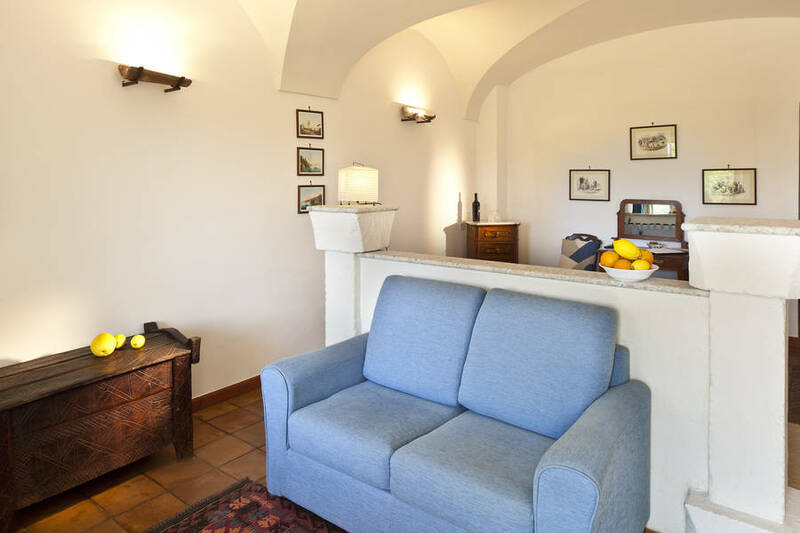 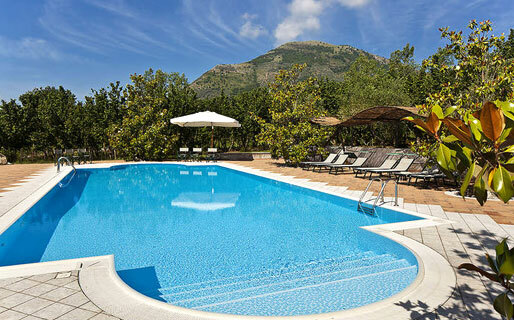 Mile after mile of unspoilt countryside scattered with lotus, hazel and olive trees; delicious food and wonderful wine; superb spa facilities and both the Cilento and the Amalfi Coast on your doorstep. 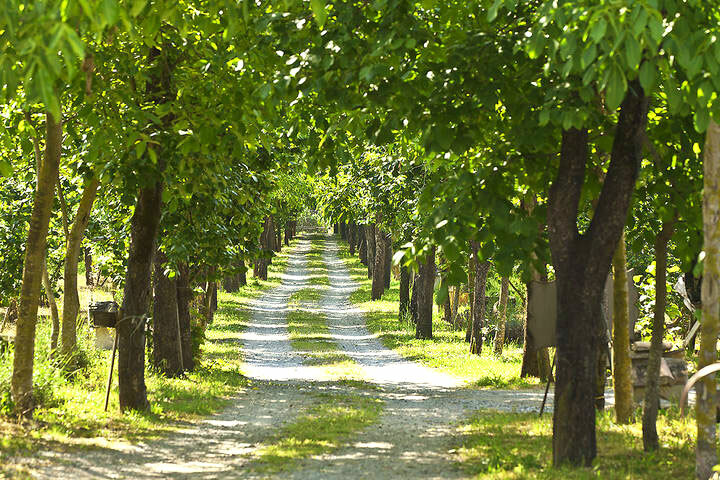 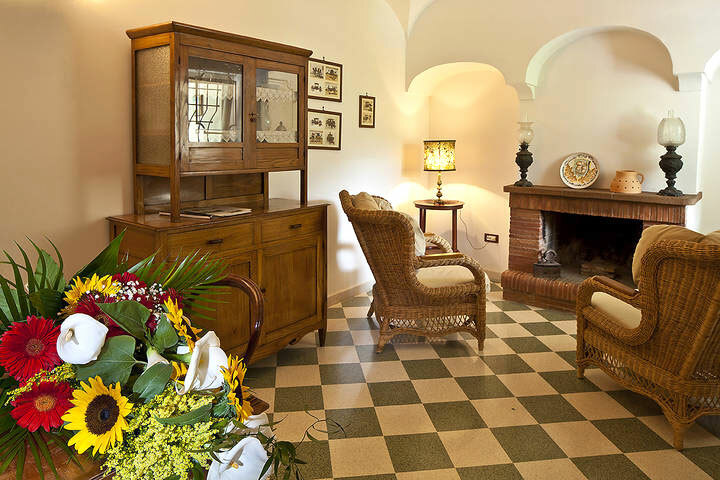 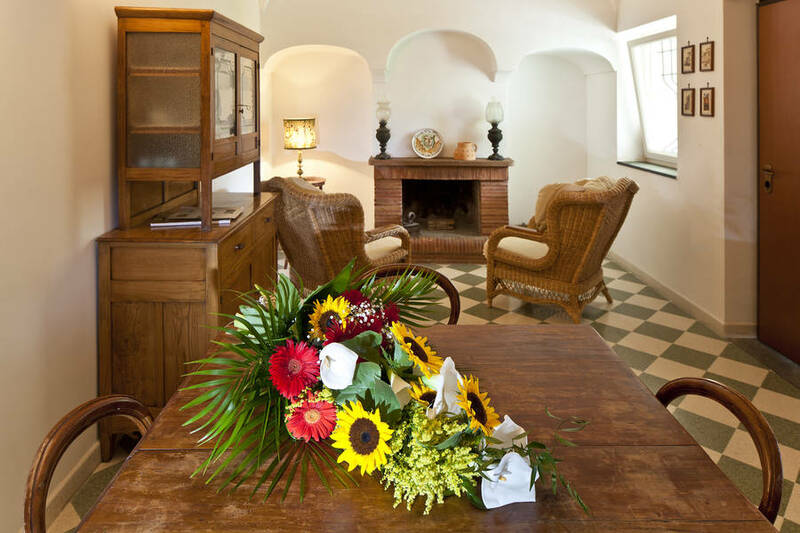 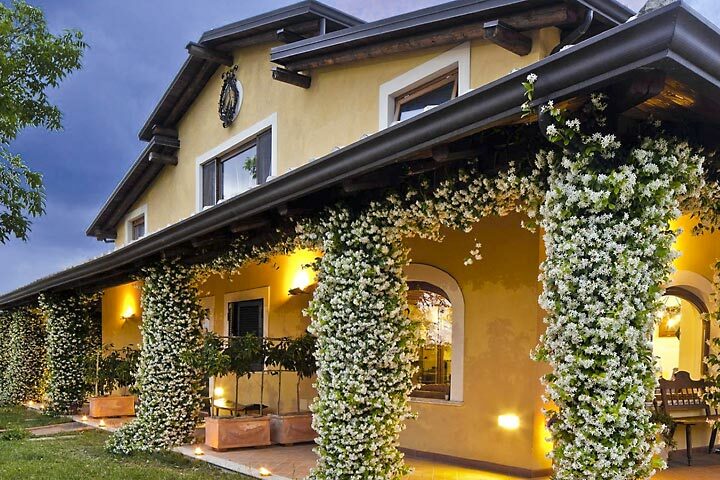 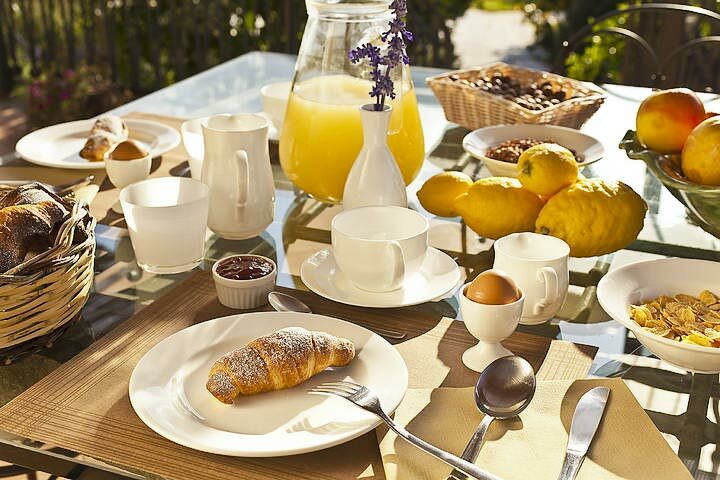 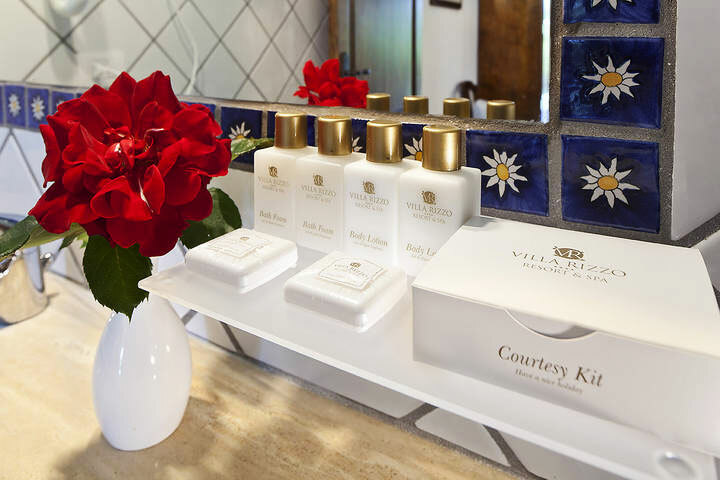 You'll find the lot at Villa Rizzo Resort & Spa, in San Cipriano Picentino. 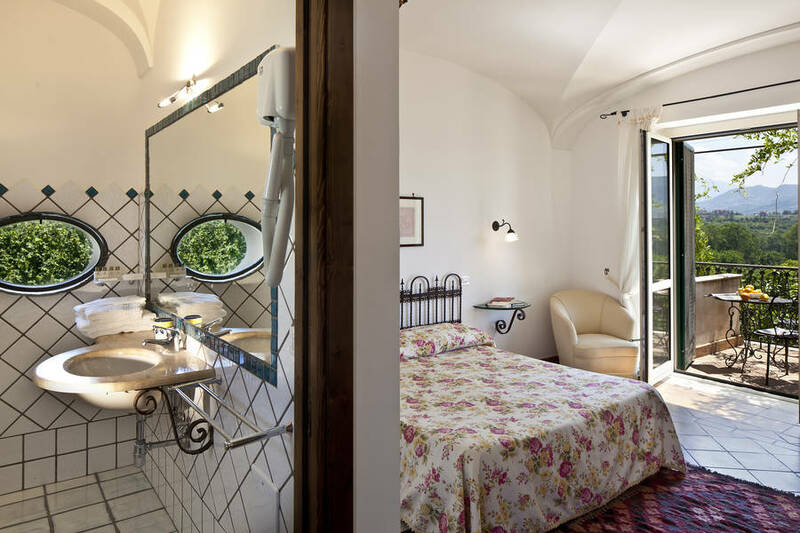 In this country residence in Italy's Campania region, buildings once used for farm workers lodgings, stables, store rooms and a tobacco drying room have been cleverly converted into beautiful bedrooms and suites, each with a balcony from where to enjoy an enchanting view of the surrounding countryside. 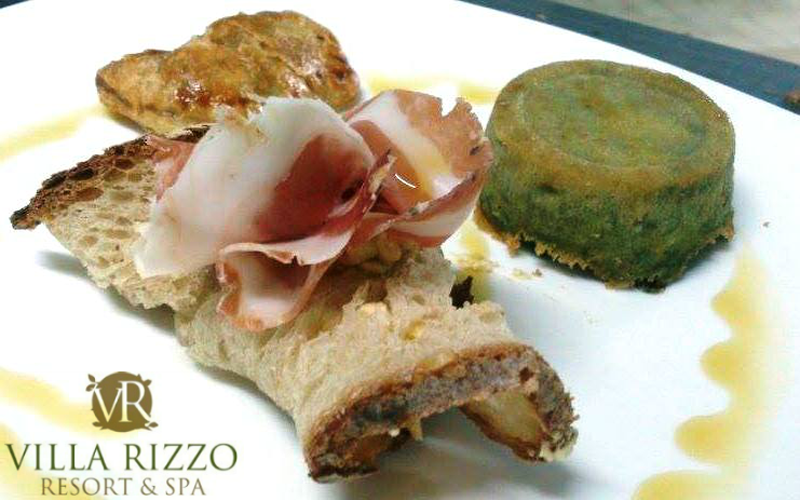 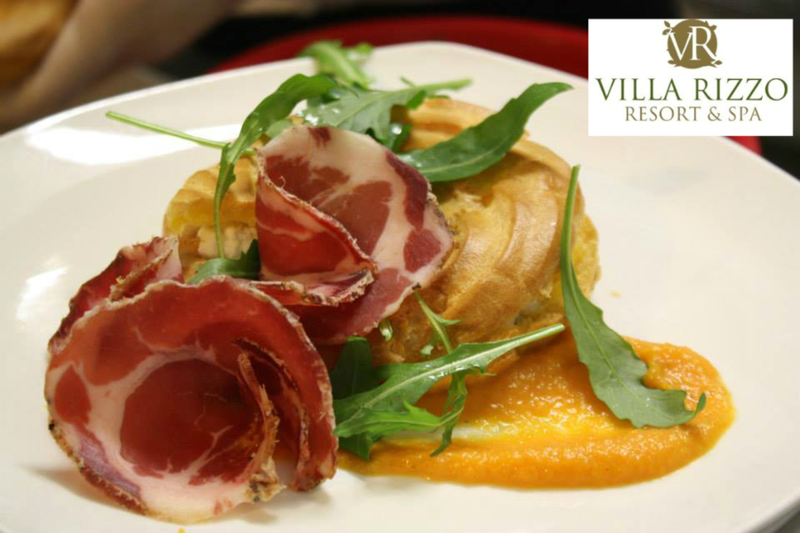 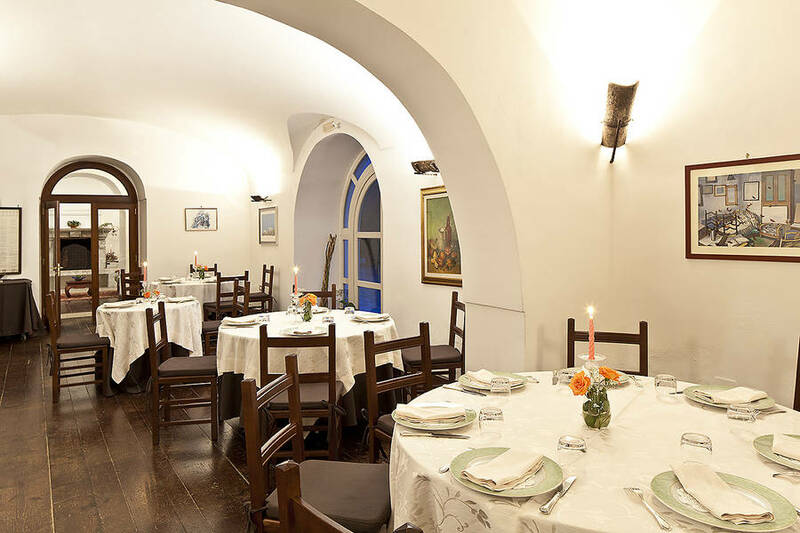 Excellent regional food and wine is served in Villa Rizzo's restaurant. 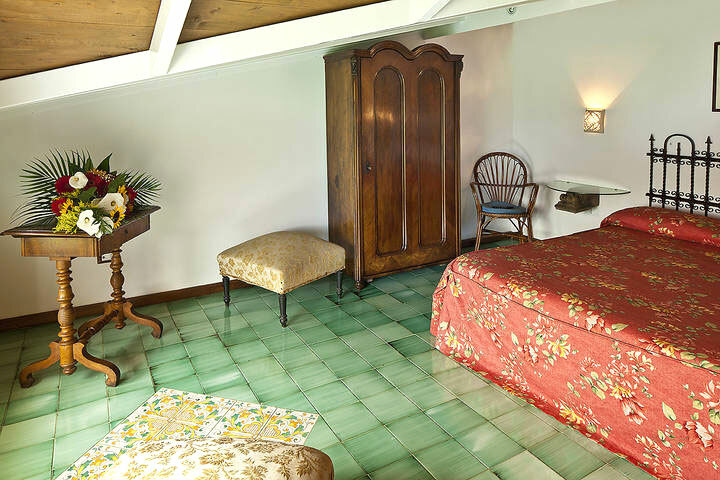 The enticing 'seasonal menus feature a selection of traditional local dishes, prepared with the vegetables and herbs grown in the resort's organic kitchen garden and just a pinch of creativity. 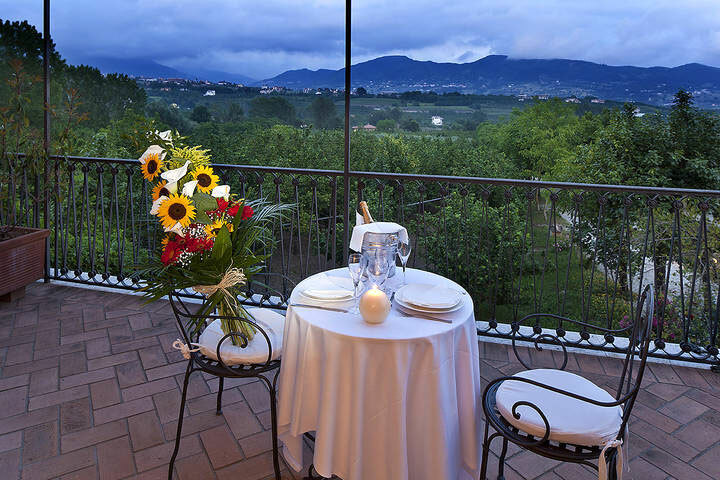 A great location for a wedding, banquet or meetings, the hotel has a fabulous 100 seat function room too. 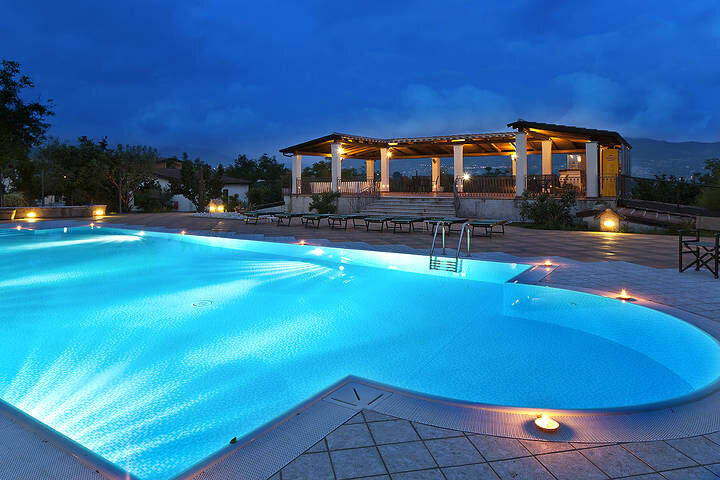 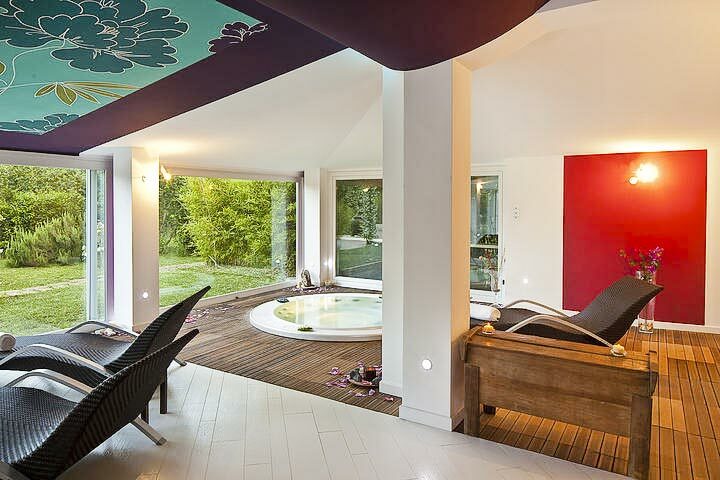 A splendid swimming pool with solarium is situated in the grounds of the villa. 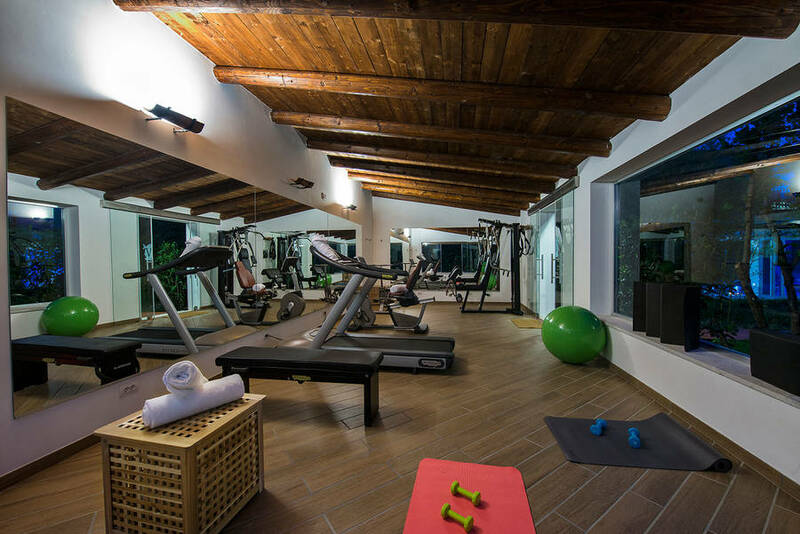 The resort's wellness center, equipped with sauna, Turkish bath, hydromassage pool, emotional showers and fitness room offers a vast menu of revitalizing massages and irresistible spa itineraries. 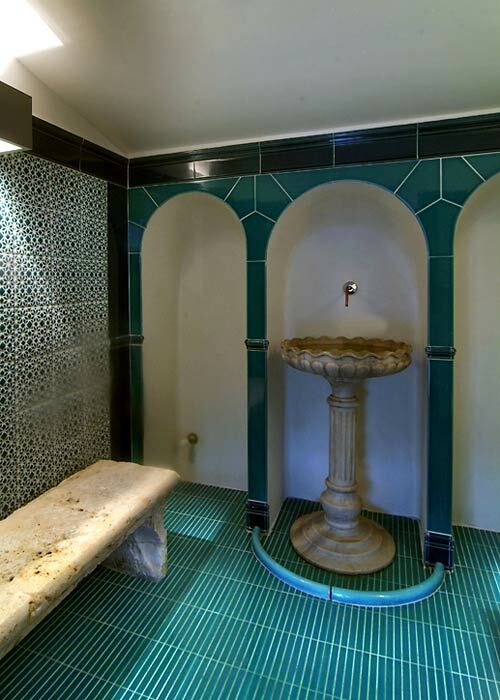 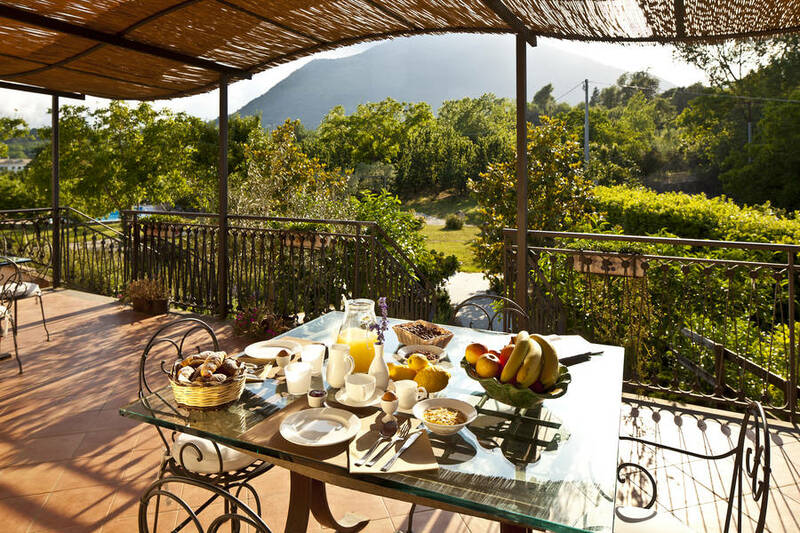 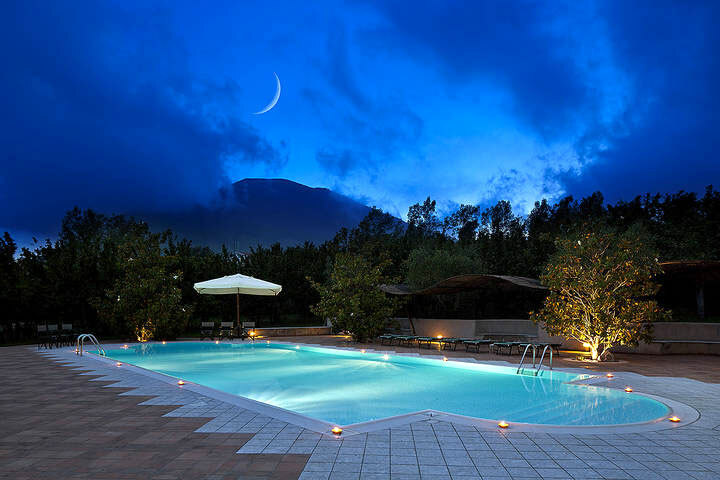 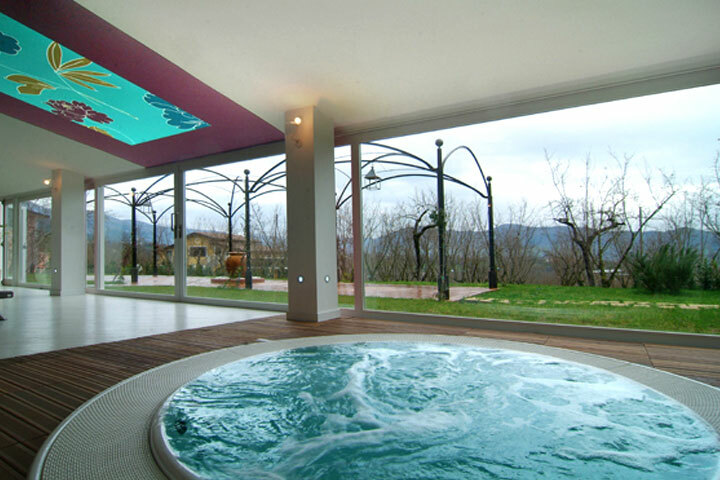 Villa Rizzo Resort & Spa is situated in San Cipriano Picentino, in the province of Salerno. 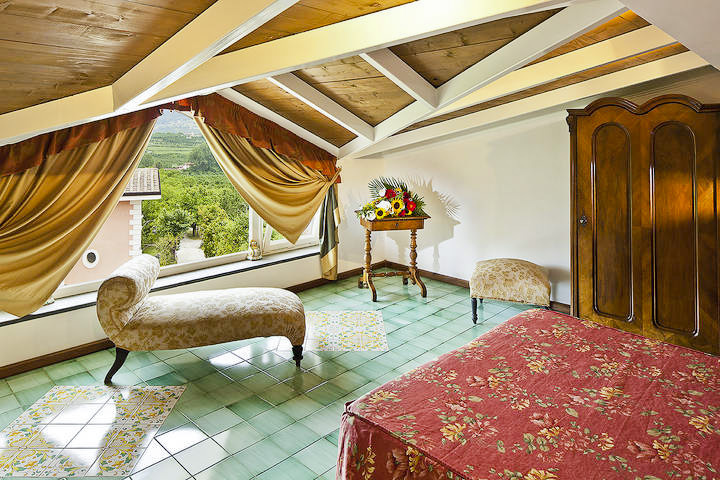 The resort, part of a large country estate, lies within the Monti Picentini Park, an area of great historical and archaeological interest. 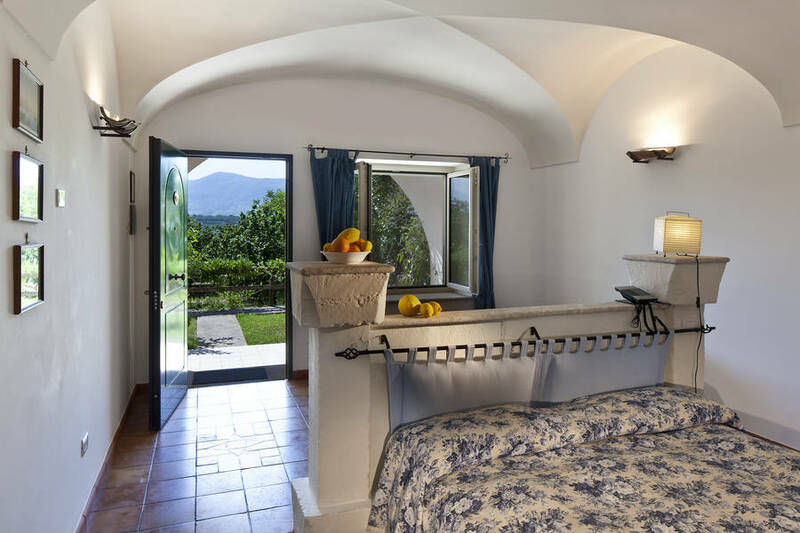 From Villa Rizzo Masseria della Nocciola many of the Campania region's most important tourist destinations are within easy driving distance: the Doric temples of Paestum, the Charterhouse of Padula, the Amalfi Coast, Sorrento, Salerno, Pompei, Herculaneum, Vesuvius, and the city of Naples. 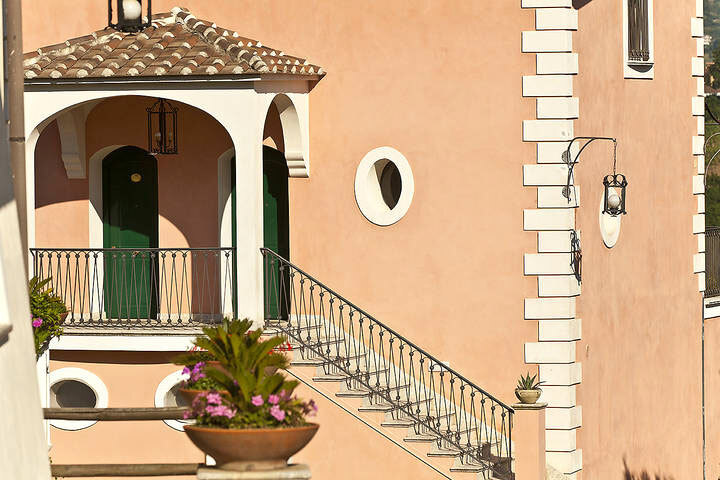 Other nearby locations perfect for a day trip are the islands of Capri and Ischia. 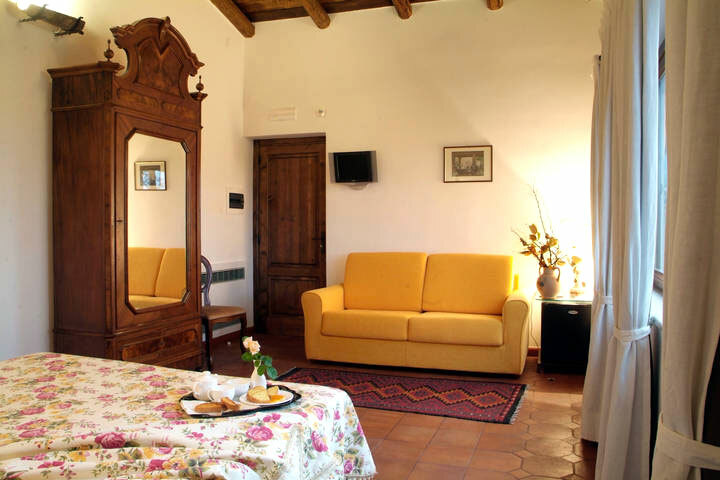 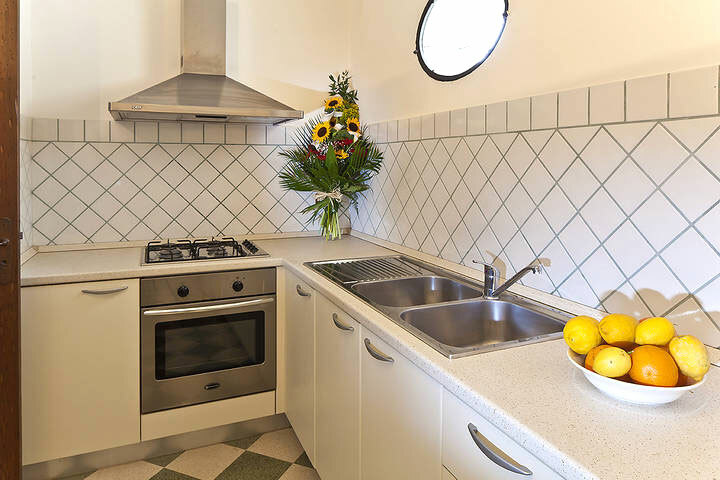 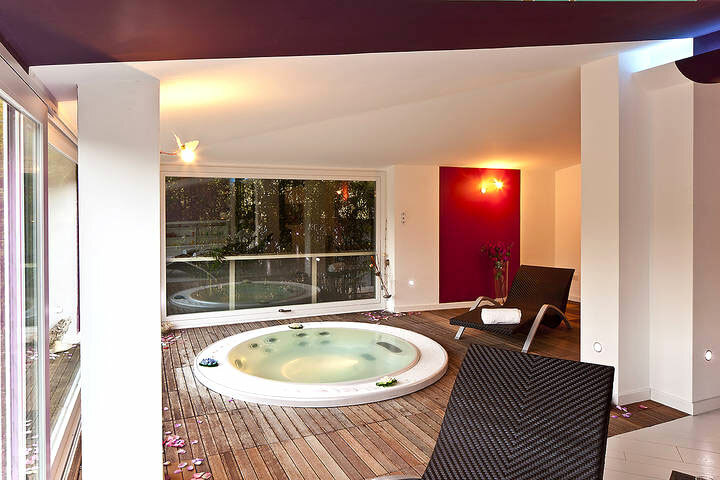 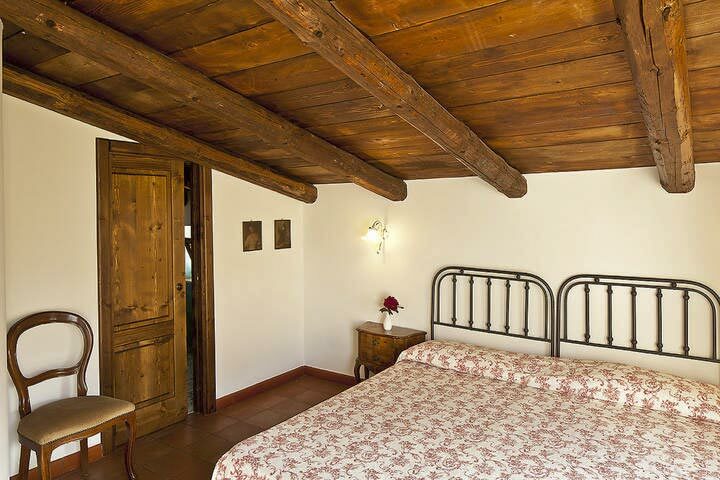 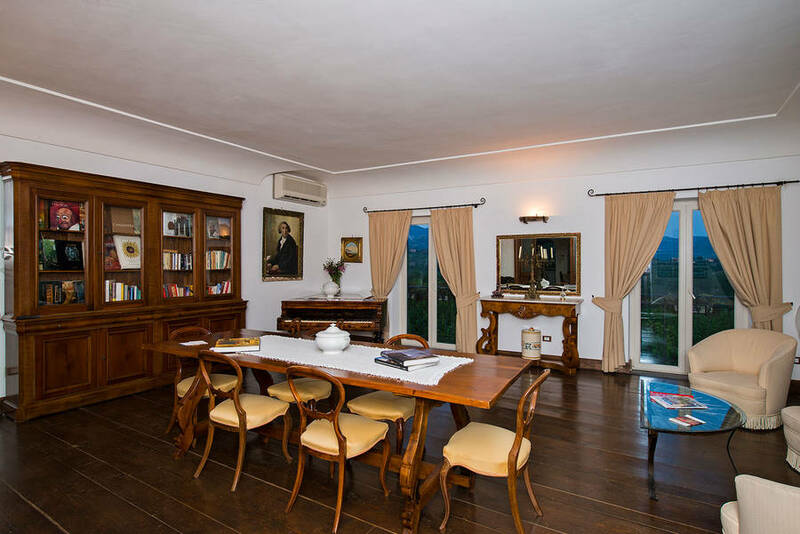 Located in a strategic position: between the Amalfi Coast and the Cilento. 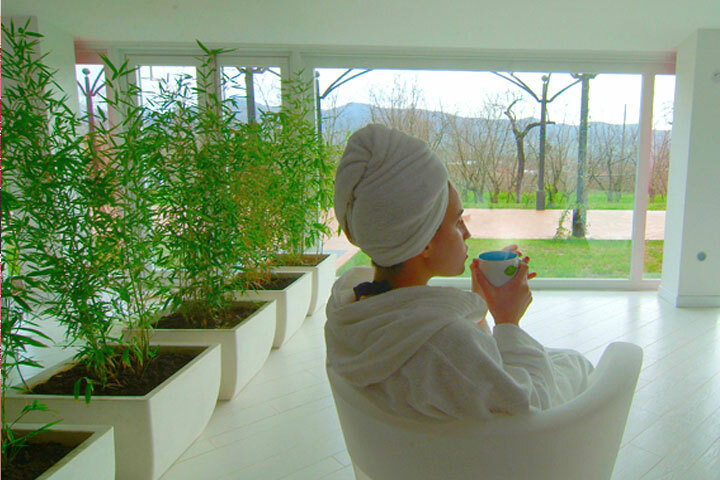 Ideal for various activities: hiking, biking, cooking school, yoga and pilates, swimming, tennis, kayaking, horse riding, golf.